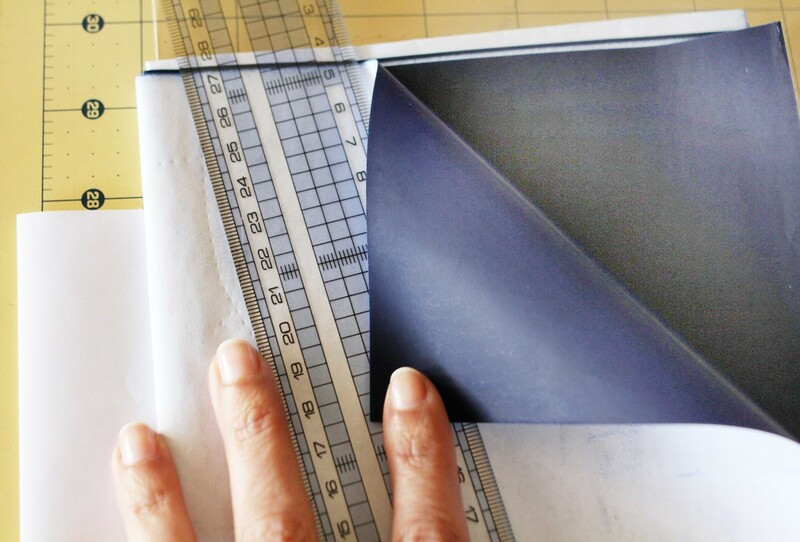 In her final segment on tracing and preserving a sewing pattern, today Sarvi explains how to use carbon tracing paper. If you’ve ever been asked to “press hard, you’re making three copies” when filling out a form, you’ll have a good idea of what this tracing paper is like. Rather than seeing through it, you use it to mark whatever you’ve put beneath it. It’s a big sheet of paper with a waxy-feeling coating which can be reused repeatedly. The coating reminds me of those triangles of tailor’s chalk. You know how they’re a little waxy, rather than totally powdery like sidewalk chalk? It’s a bit like that. It comes in different colors and while you might get a bit on your fingers while handling it, it makes a very distinct and permanent mark. You can use carbon tracing paper the same way to mark onto your substrate of choice: oaktag, freezer paper, gridded pattern paper, or fabric, whether muslin for fitting or your fashion fabric. 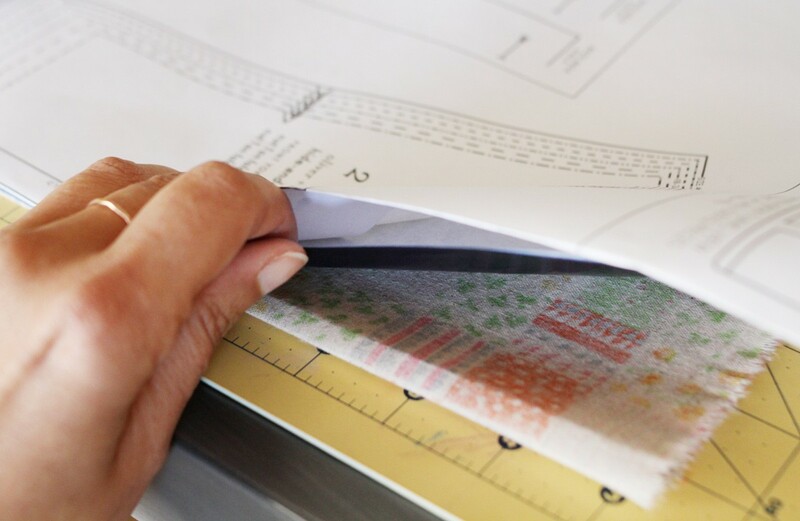 You stack substrate, tracing paper (face down), and pattern, then trace over the pattern lines with a marking tool. My table is made of metal and I wanted a surface with just a touch more ‘give’ to help me leave a good impression, so I laid my self-healing cutting mat on the table. If you have a fine wooden table, this will also prevent you from inadvertently leaving tiny dents in your furniture! Since I’m rushing a bit to make a Hide and Seek Dress for the next school day, I decided to trace off my pattern directly onto my dress fabric. I’ve laid the fabric face down so the marks land on the wrong side. Since I bought this tracing paper for making fit muslins, I bought the dark blue color, and I want to be careful to avoid dark marks on the right side of my fabric. If I were using something very sheer or delicate, I’d transfer the pattern to paper first. For tracing a piece that’s cut on the fold, I first carefully fold my fabric on the grain, then line up the straight edge of the tracing paper, then finally the straight edge of the pattern piece. 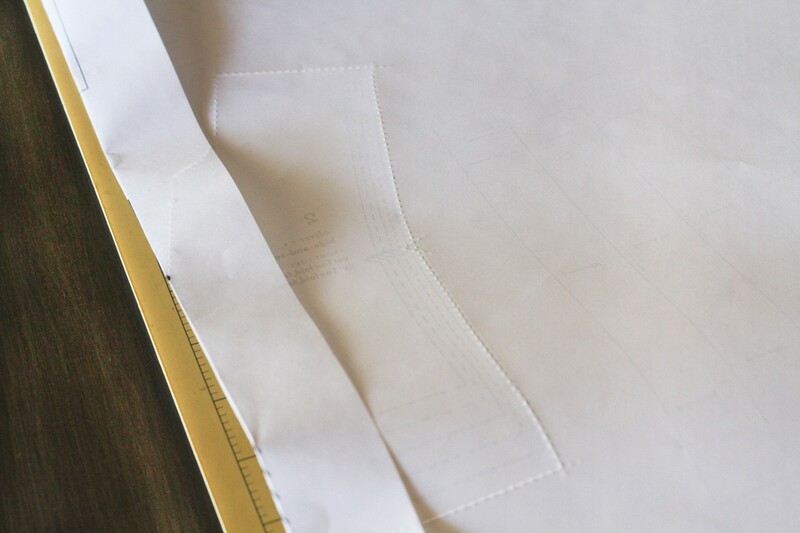 I’ve folded back the pattern sheet along the fold line of the bodice piece I’m tracing. 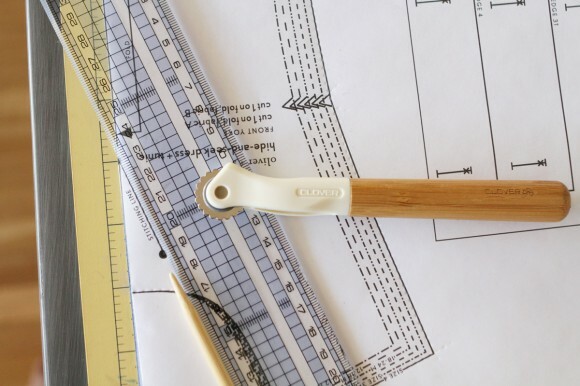 Using a ruler to help with straight lines, run a tracing wheel or the tip of a pen or knitting needle along the pattern lines. I like the bamboo tracing wheel from Clover. It has a nice bamboo handle with a little dent near the wheel where your forefinger naturally lands, so you have a lot of control whether you’re pressing firmly or gently. 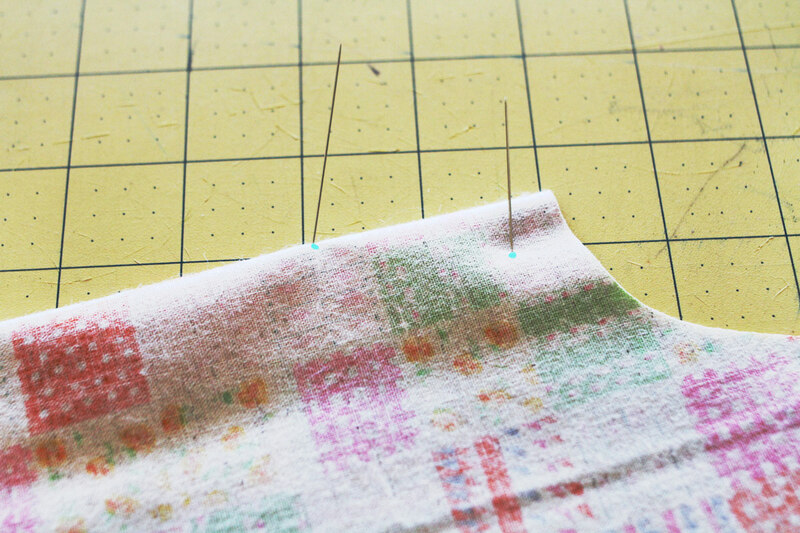 I used a knitting needle to draw a little circle to mark the ends of a stitching line, then used pins and a pencil to transfer the marks to the other half of the fold. 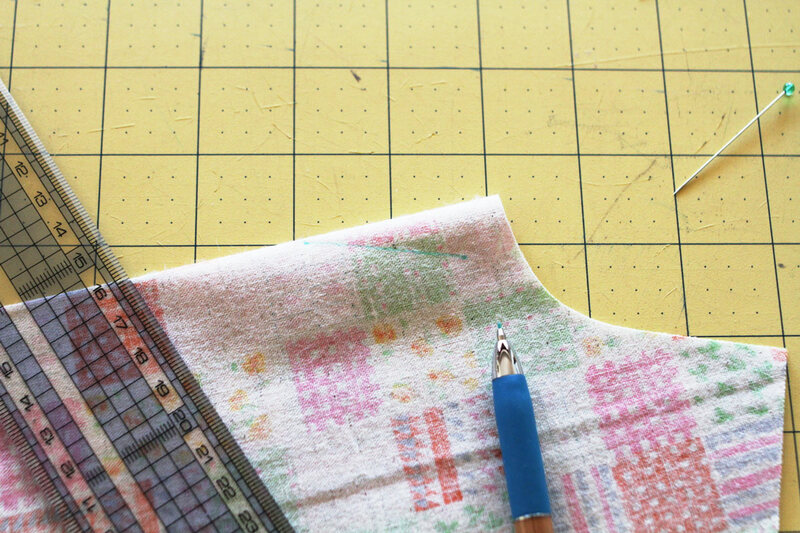 For tracing a piece that’s off the fold, where I have to be careful about lining up the grain, I cut around the whole set of pieces, and I use a quilting ruler to help me line up the grainline marked on the pattern with the grain of the fabric. Then, as before, I trace off the size I need. If you’re a fabric scrooge (TM Lightning McStitch) you’re probably not loving the idea of not being able to get your pieces really, really close to each other for maximum efficiency. No worries, you can always trace off onto your preferred substrate first. For something really solid like oaktag where there’s no way you’ll see through it, this would be a quick way to transfer the pattern, and you’d just need to be sure you had your stack in the right order with the carbon paper in the middle, waxy side down, and your pattern on top. While tracing with a serrated wheel (the one that leaves a dashed line, rather than the spiky one that leaves dots) doesn’t pierce the paper, it does still dent it. Over time this will weaken the original pattern, so it may be prudent to trace off onto paper or interfacing before then, in any case. Right here! The Oliver + S shop stocks both light and dark colors of the tracing paper, as well as the beautiful Clover tracing wheels. 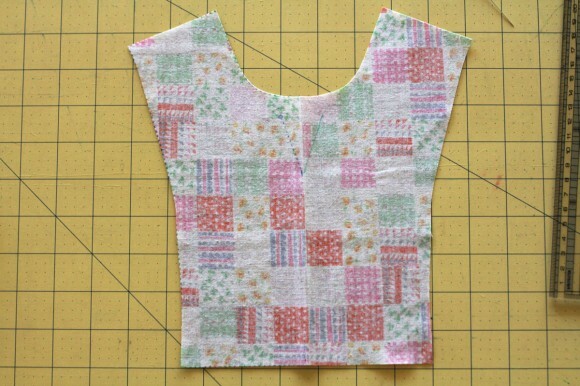 I haven’t seen the tracing paper at my local craft supply shop, but a place that holds fit classes or sells supplies for garment sewing (or a sophisticated quilt shop that also sells garment patterns) might have it. And that ends Sarvi’s guest series on preserving patterns. I hope you’ve enjoyed it and learned something new. Thank you again, Sarvi! Stop it! This is so neat! I haven’t ever heard of this method before, I love it. Great series Sarvi, I learned so much. Great post – thanks, Sarvi! 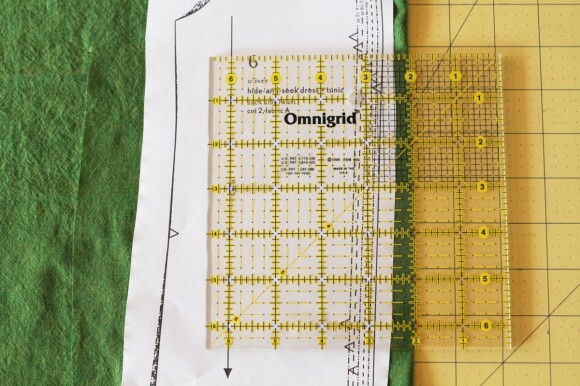 I never even thought of using this method for tracing an entire pattern piece. I do something similar for transferring markings to fabric pieces that I’ve already cut out. 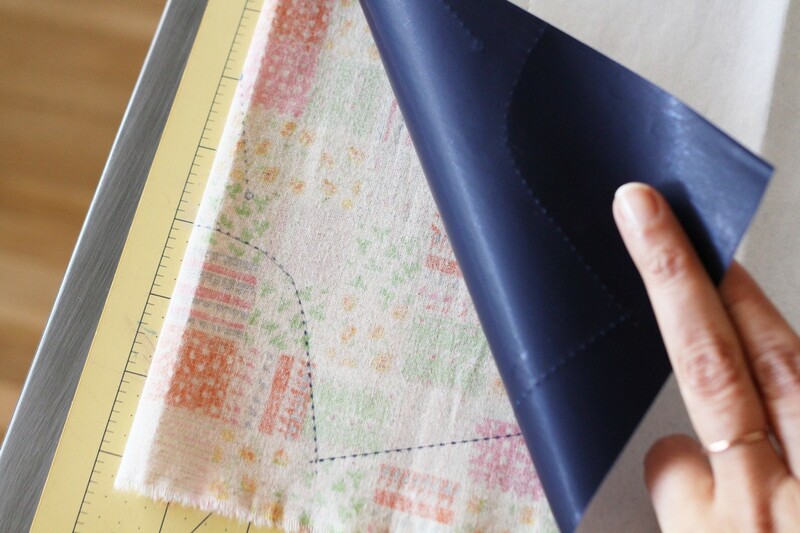 I use a tracing paper sheet between the pattern and the fabric to transfer dots, pleat lines, and darts, etc. I sometimes use the type of tracing paper that you show here, but usually use the type with the water soluble / disappearing ink. That way, it doesn’t matter if I get a mark in the wrong place and I can mark on the right side of the fabric when desired (like pocket placement lines/dots). Thanks for doing this series, Sarvi, I’ve really enjoyed it! 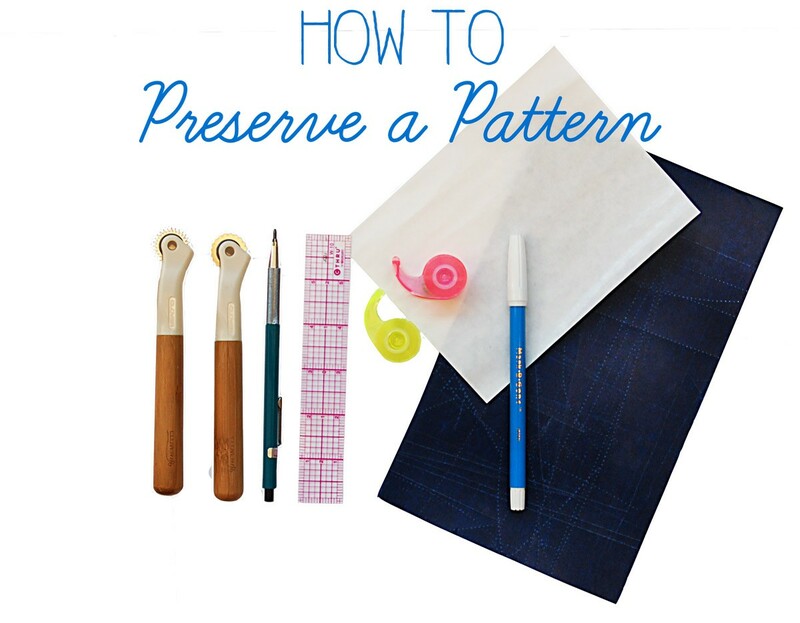 My favorite tip is to use painter’s tape, instead of the scotch tape that I’ve been using when taping my patterns down to trace. I’m definitely going to do that from here on out! Sandi, what’s the paper with water soluble ink? It’s a coated paper? I’ve never seen it, could you share a link? Sounds like a great product. It’s been so much fun to hear everybody’s comments about all the different tools and materials they use. I’ve learned a lot, thank you all for chiming in! 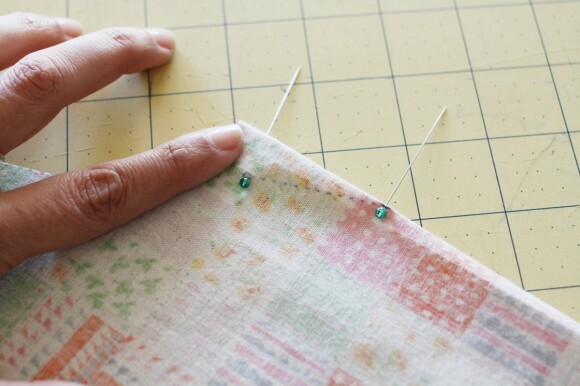 This is one method I have never tried, I am kind of addicted to pins! I love it, especially for little things. Fabulous posts Sarvi, really enjoyable. 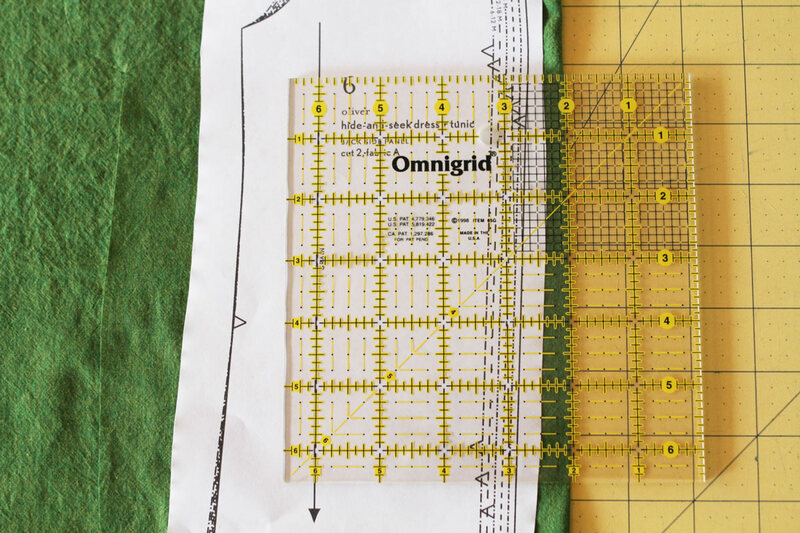 I love this idea for tracing the pattern to make a copy for each size.